Check out Tobi's Don't Play Strapless Jumpsuit Get all dolled up in the Don't Play Black Strapless Jumpsuit. This flare leg jumpsuit features a strapless neckline with a wide leg fit and a front twist detail that looks just divine. Take this tube jumpsuit out for brunch and catch up with your squad in style! Get all dolled up in the Don't Play Black Strapless Jumpsuit. 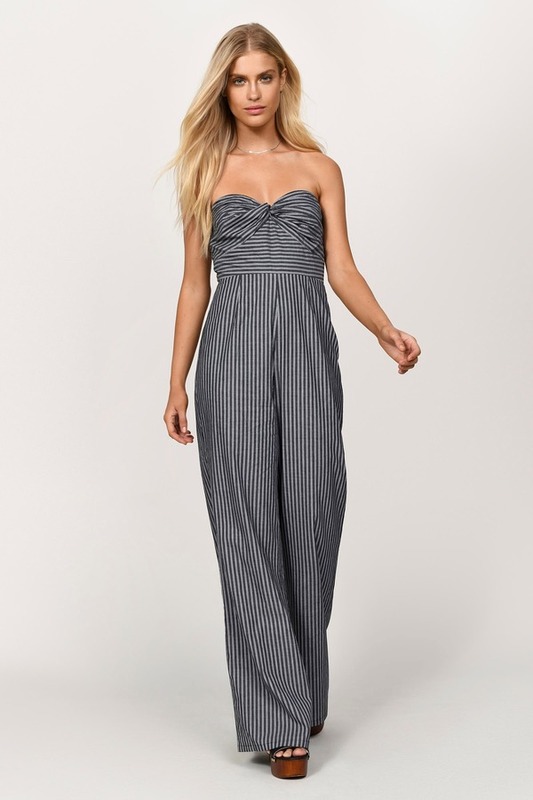 This flare leg jumpsuit features a strapless neckline with a wide leg fit and a front twist detail that looks just divine. Take this tube jumpsuit out for brunch and catch up with your squad in style!